Walking along National Route 18 eastbound after exiting the north exit of Naka Karuizawa Station, you will find a bridge across Yukawa river which runs north to south roughly at the center of Karuizawa town. Toward north from the bridge, you can see Nagakura Shrine and surrounding deep green forest of Nagakura Park. The shrine is familiar to Naka Karuizawa local residents, and the park is well known as a fireworks place in a summer festival season. 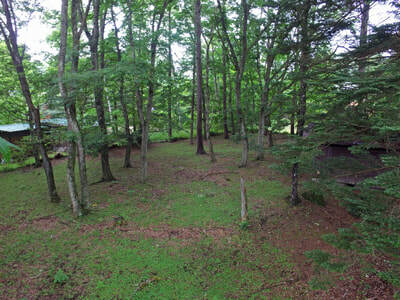 This land is a large forest lot (2,975 sqm) within 10 minutes by foot from Shinano Railway Naka Karuizawa station. It has a small waterways inside. These waterways are formerly for agricultural use, and remind us that this lot and surrounding region used to be rice and vegetable field long time ago. It also gives this lot unique atmosphere made by babbling sound and cool streams. Neighboring atmosphere is that for residential district, as you can imagine from the fact that this lot is very close to the train station. 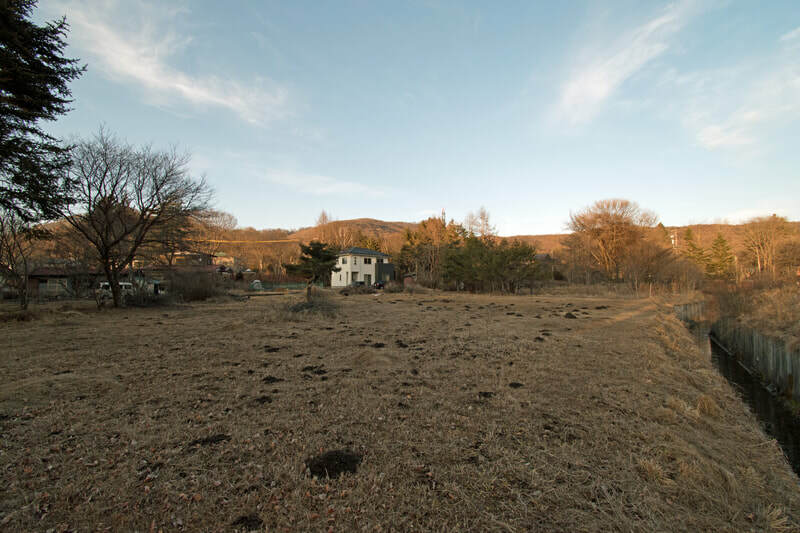 It is a bit suprising to know this scale of land lot still remains in this location without being affected by residential land development in recent years. Only a special and lucky person may obtain this property and build its house or villa. Such feeling should come accross when you see this place.